Articular cartilage is an extremely important structure that provides the smooth surface over our joints to allow almost frictionless motion. Unfortunately articular cartilage does not have a blood supply, so once damaged its ability to heal itself if extremely poor. Damaged articular cartilage can cause symptoms of pain, catching and swelling. Damaged areas also increase the load within the underlying bone which may be another source of pain from the joint. Articular cartilage lesions may occur in isolation or combined with cartilage tears or ligament injuries. Articular cartilage lesions do not show on x-rays and are best investigated by an MRI scan. However, MRI scans may under or over predict their severity and the exact extent of lesions is best assessed arthroscopically (by keyhole surgery). Arthroscopic debridement – the simplest way to treat articular cartilage lesions is by simple arthroscopy to remove any loose unstable fragments and smooth away roughened areas of the joint surface. Loose fragments can also be washed out of the knee. This usually works well for small lesions and allows rapid recovery with full weight bearing and no restriction in movement necessary after the operation. See arthroscopy rehab for more information. 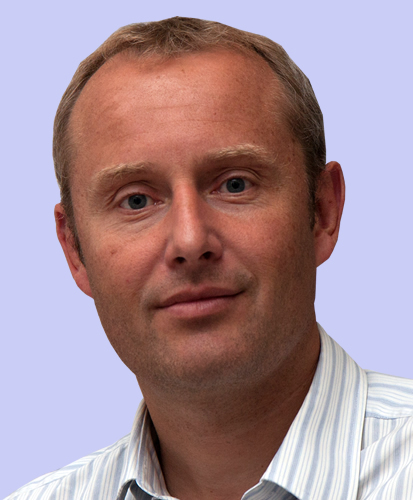 Microfracture treatment – this is a technique developed by Dr Richard Stedman in the USA. It is a technique that involves tidying up the edges of an articular cartilage lesion and then creating small ‘pick holes’ within the exposed bone surface to allow bleeding onto the surface of the joint to form a scab. This allows bone marrow cells from the underlying bone to grow a new joint surface of fibro-cartilage. The fibro-cartilage surface is less durable and resistant than the original articular cartilage, but provides a good result in many patients. This technique is suitable for most small lesions measuring 1-2 cmsq and occasionally in some lesions measuring up to 4 cmsq. The exact rehabilitation after microfracture depends upon which part of the joint surface is treated. If the lesion is within the patello-femoral joint (under the kneecap) it is necessary to use a hinged knee brace which can lock the knee in full extension. This allows full weight bearing with the knee fully straight but the hinges may be unlocked to allow the knee to bend when sitting or lying. If the articular cartilage lesion affects the femoral condyle or tibial plateau then it is necessary to remain non-weight bearing using crutches at all times for six weeks post-operatively to give the damaged area the best chance of healing. See microfracture rehab document for more information. Trufit plugs/osteo chondral grafts – another option in small lesions is to replace the lesion and underlying segment of bone with a small cartilage and bone graft obtained from elsewhere within the knee or with a synthetic scaffold called a Trufit plug. This allows in-growth of the surrounding bone and articular cartilage into the Trufit plug to reform the joint surface. This technique is suitable for small lesions measuring 1-2 cmsq and I think is best used when the lesion affects both the articular cartilage and the underlying bone. 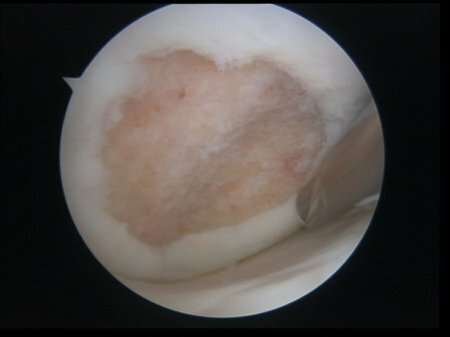 MACY (matrix induced autologous chondrocyte implantation) – this is a technique that allows regrowth of larger areas of joint surface damage with a synthetic membrane that is seeded with a patient’s own cells. This procedure involves an initial arthroscopy to harvest a small area of articular cartilage from the edge of the joint surface. These cells are then sent to a laboratory where they are cultured and seeded onto a membrane. The second stage is undertaken six to eight weeks later and involves a small incision to open up the joint and patch up the damaged area on the joint surface with the MACY graft. The graft is glued into place and the knee joint closed. After the operation it is necessary to use crutches and a knee brace for six to eight weeks. The exact rehab depends upon which part of the knee joint was treated. For more information please see MACY rehab guide.